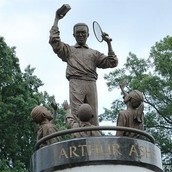 But who is Arthur Ashe? 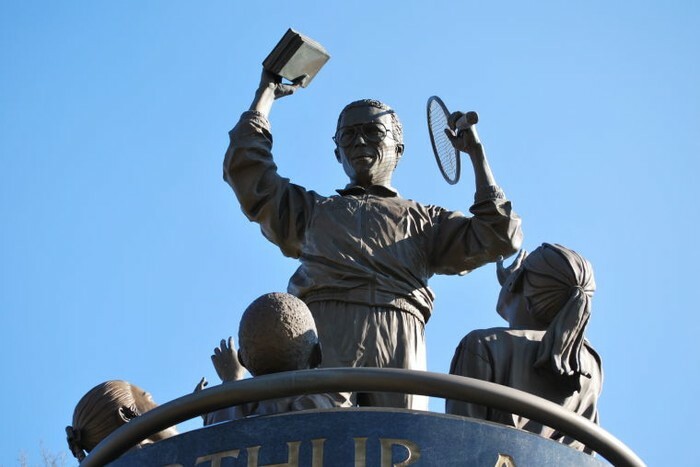 Arthur Ashe was a famous tennis player and the only African American man to win the singles title at Wimbledon, the US Open, and the Australian Open. 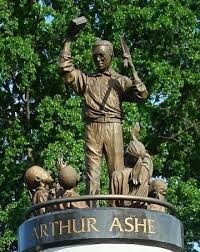 In the early 1980s, Ashe contracted HIV from a heart bypass surgery. Up until his death in 1993, he advocated for HIV and AIDS education. What does this tell us about history? Arthur Ashe was originally from Richmond and the people of the city wanted to remember him, so they dedicated this monument to him. He wanted to educate people about HIV and AIDS which is what the book represents. Racial equality is also a big part of this because Ashe was banned from many tennis teams and since he is on a street with monuments dedicated to people who promoted racial injustice, this shows how much the city has evolved.